My grandma’s home in Poplar Grove (a neighborhood in Salt Lake City, Utah) was an oasis of certainty in an uncertain place. Her double lot on the corner of Navajo and Wasatch had been in the family for two generations, but it was just hers now. Inside, it was an evolving patchwork of hand-hewn cabinets and pink wallpaper. Outside, a bright stamp of green and pink in a neighborhood of thumping cars and chain link fences. Years of raising chickens made the roses flush with color and grass so thick that mowing was an aching chore that stole the Saturdays of our fathers and brothers. On one corner there was a pine so tall we could play under its boughs standing up. On the other, a patio surrounded by roses, a clothesline, and large patch of pink peonies. About the time it was warm enough to eat outside, the peonies would begin to open, bending under the weight of their blooms. We would pile out of the car, file down the narrow, pebbled cement path that led to the back door, passing the peonies on our way. I still remember that door, its dark amber and unfinished tack, the push it demanded, and the sound of escaping air, as if the home were overfilled with smells of warmth and familiarity. Sometimes we sat on the patio surrounded by the roses, but mostly we sat in the lawn chairs, rocking on the bumps and waves of the lush grass. We’d wave at flies between bites of potato salad and roast beef while the kids played pepper or colored eggs, as the dusk brought the scent of the Great Salt Lake and its mosquitoes. Naturally, the peonies did well. As a child they were exotic, so different than my mother’s marigolds. I buried my nose in in them, running my fingers through the layers of petals. They were much like grandma herself with her powdered cheeks, ginger hair, and generous lap. To be held by her was to be held by something full and soft and fragrant. As we grew, we began to recognize that much like the peonies, her roots belied an extraordinary strength and toughness. So when her husband died in his sleep from a stroke when my aunt was only five, she immediately took over his same job at Utah Wholesale. And when we mused on the patio about the irritating hornet’s nest in the rosebush, it was Virginia who wordlessly came out with gloves and pruners, lopped the offending branch into grocery sack, and hobbled triumphantly off to cast the angry bag into the garbage. And when an intruder threw a cinder block through her window, bruised her arms and stole her purse, she never gave a thought to leaving that home. So like the stubborn, beautiful peonies, Virginia alone ruled the corner of Navajo and Wasatch for over 40 years. Many years ago, our church volunteered to care for the one of the old pioneer gardens at This Is The Place State Park. Hearing of our need for more plantings, Virginia suggested we take a start from her peonies. So I dug out a start from her rich soil, and placed it into the unforgiving clay of the east bench. There it sat in a hot, underwatered corner of the old Relief Society building. But checking back, I saw it take root and begin to grow, and over time I had a sense of pride that my grandmothers peonies had a place among the pioneer daisies and hollyhocks. Our church to moved on to other projects, and we moved on to another neighborhood. Years passed, and rarely thought about the peonies on the corner of the old Relief Society Building. 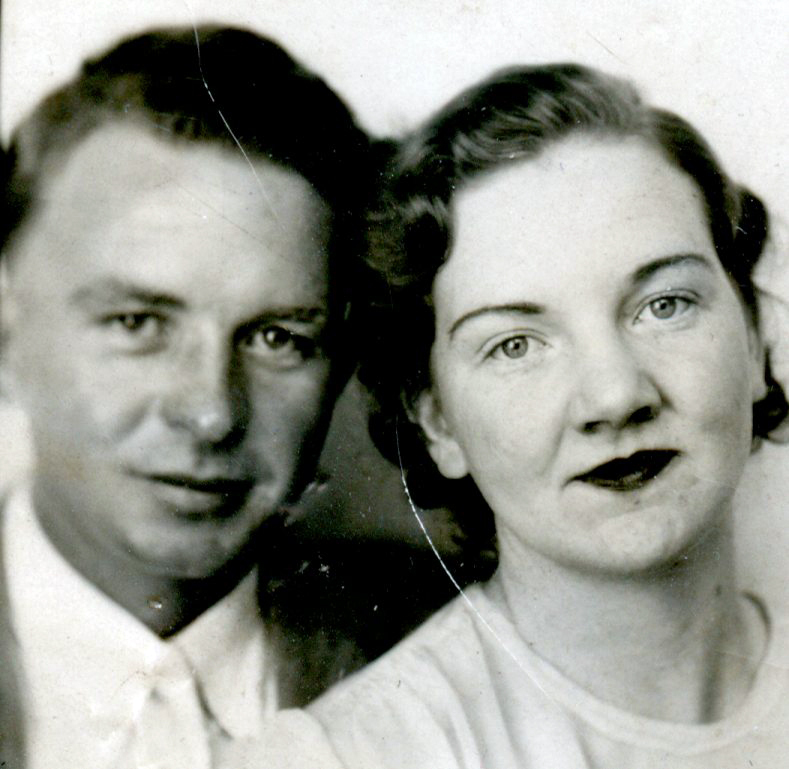 In the ensuing years my grandmother passed away. Her home was sold, and for the first time in over 100 years, the house on 742 Navajo had a new owner. Sometimes you miss someone most long after you lose them. Grief loses its sharpness over time, and is replaced by longings that ebb and flow with no warning. It was Memorial Day, and my daughters had been feeling a particular tenderness toward Grandma Ginny. We visited the cemetery, and one daughter had written a note to leave with grandma. We waited in the car while my daughter ran back to her headstone, knelt, and placed the note there. I could see her whispering her secrets, and I turned away, feeling our longings to return to Poplar Grove widen suddenly. Driving home, we passed the road to This is the Place. My grief and regret at not having the peonies surged, and the longing became an urgent, rapidly developing plan to bring the peonies home. Get my sister, of course. A couple of shovels. A garbage bag. Wait until dusk. The Park had always told us to come at dusk for garden maintenance. 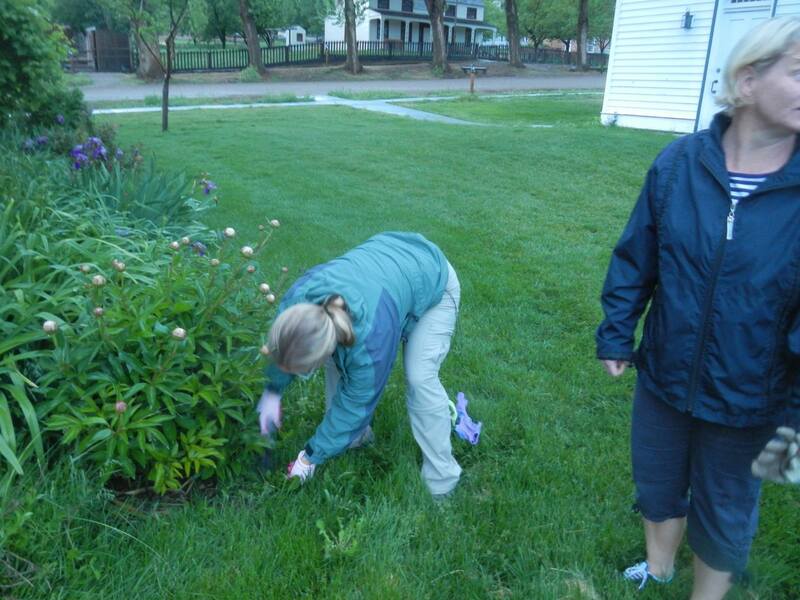 Two days later, my sister, my niece, and I (a.k.a the Peony Purloiners and Maintenance Sisters) ran, giggling and clattering through the early evening rain with tools, 5-gallon buckets, and a replacement plant from my yard as karma insurance. We hurried past Brigham Young’s outstretched hand, ducked under the turnstile, and toward corner of the garden where I had planted them. As the old Relief Society Building came into view, we saw what was once struggling start was now an enormous clump of flowering peonies. It was early June, and the blossoms were just beginning to open. Carefully, we extracted the enormous plant, split the roots, and divided the starts into buckets. In its place we put the now embarrassingly small shrub and wondered what the puzzled gardener would think of the change. We hurried out through the steady rain, calling apologies to Brigham, peony heads bobbing as we ran. In the dark of my front garden, I dug two holes and felt relief, like the rain, roll down me as I pressed her plants into the ground. This is your garden, I whispered. This is the place. All summer I watched the plants struggle. The blooms never opened. The leaves turned brown, then the stalks. I worried that my bad timing and the extraordinary heat may have finished them. I even had a fleeting thought that our peony relocation project may have been cursed by the ghost of Brigham Young. My worry grew to panic. If the peonies are gone, what are left? 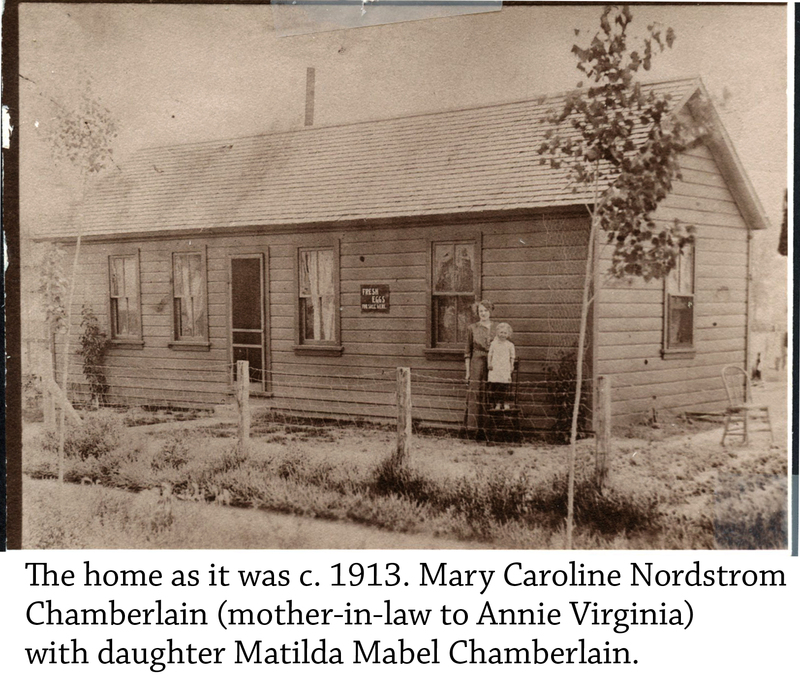 Our Chamberlain family has lived in obscurity, and died in bales of hay and woodpiles. Our name has hung precariously as the breath of a lone surviving infant battling pneumonia. We have fought illness, poverty, and strife. We have been split and planted, and split again, so often in poor ground, and the fruit from Poplar Grove has multiplied beyond our own imaginings. If we can grow, then why not our peonies? It’s early Spring, and the smell of snow still hangs in the air. I’ve long watched the ground for any sign that the peonies would come up, and today I saw their tops breaking through the ground, stirring hope that all that was once lost from Poplar Grove will return to me.